International Maritime Organization (IMO) has joined leading oil spill experts and stakeholders to discuss future issues concerning oil spill preparedness, response and restoration – at the Interspill 2018 conference and exhibition in London (13-15 March). Speaking at the opening session, IMO Secretary-General Kitack Lim said that “many years of collaborative work between governments and industry, at IMO, have helped reduce dramatically the number of oil spills and the amount of oil spilt from ships”. 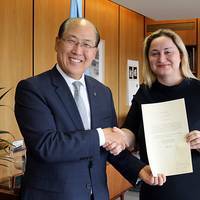 Thailand has become the latest State to accede to the international conventions on Civil Liability for Oil Pollution Damage (CLC) and the Establishment of an International Fund for Compensation for Oil Pollution Damage (Fund). The CLC Convention ensures that compensation is available to people who suffer oil pollution damage from maritime casualties involving oil-carrying ships, and places liability on the owner of the ship from which the polluting oil escaped or was discharged. 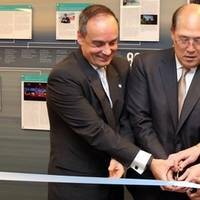 The story of how that incident served as a catalyst for positive change is told in a new exhibition which was launched on Monday (16 January) at the headquarters of the IMO, the United Nations agency with responsibility for the safety and security of international shipping and the prevention of pollution from ships. A series of panels chart the collaborative work which has resulted today in a comprehensive regulatory framework, a demonstrably improved shipping industry, good systems of preparedness and response and adequate compensation for those affected by spills. 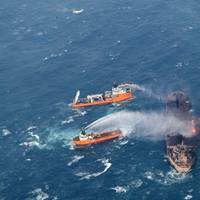 The 50 years since the grounding of the tanker Torrey Canyon in 1967 have seen dramatic and sustained reduction in major oil spills from ships, thanks to cooperation between Governments and industry. The story of how that incident served as a catalyst for positive change is told in a new exhibition which was launched on Monday (16 January) at the headquarters of the International Maritime Organization (IMO), the United Nations agency with responsibility for the safety and security of international shipping and the prevention of pollution from ships. The International Group is collaborating with the International Maritime Organization (IMO), International Oil Pollution Compensation Fund (IOPC) Funds and other industry organisations to produce an exhibition at the IMO to mark the achievements of the international community over the past 50 years to achieve a sustained reduction in major oil spills from ships; to establish effective systems for preparedness and response if there is an incident; and to create a comprehensive mechanism for providing compensation. A national workshop on theInternational Maritime Organization (IMO) liability and compensation conventions is underway in Bangkok, Thailand (8 -11 November). 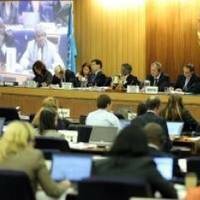 The workshop is providing a comprehensive overview of the IMO liability conventions, including those covering the wreck removal, salvage, carriage of hazardous and noxious substances, CLC, Fund and Bunkers Convention. In looking at the history of the treaties’ development, their principles, implementation and practical implications – IMO is supporting the implementation and enforcement of the full liability regime in the country. In shipping, there’s little that one can count on from year to year. The word “change” comes to mind immediately. Another constant is a steady hand at the helm at the International Association of Independent Tanker Owners (INTERTANKO), the voice of the world’s collective tanker market. So, when Joe Angelo replaced long time (10+ years) INTERTANKO stalwart Peter Swift as INTERTANKO Managing Director less than 4 months ago, industry watched closely for any changes in course. But INTERTANKO's new MD is anything but an unknown quantity and he clearly hit the ground running. A giant oil slick from the sunken tanker Erika drifted and widened off the northwestern French coast on Dec. 14, and officials worry that changing winds could push it towards land. A spokesman for maritime authorities said the slick from the broken up tanker Erika, estimated at 9,000 to 10,000 tons of viscous fuel oil, was extending as it absorbed seawater. Officials insisted that ecological disaster cannot be ruled out on the Brittany coast, where the Amoco Cadiz spilled over one million barrels of oil in 1978. The oil slick was some 25 nautical miles south off the tourist island of Belle-Ile, itself about 16 nautical miles south of Brittany's Finistere Peninsula, and drifting eastwards at .6 mph. Authorities along the length of France's Atlantic coast were on alert last Wednesday as a giant fuel oil slick slowly drifted south of Brittany, threatening an ecological disaster. Maritime officials said two navy ships were heading for the slick equipped with floating booms and giant vacuum cleaners to try to contain and pump the oil which escaped from the sunken Maltese-registered tanker Erika. Three more vessels, including a British ship, also equipped with vacuum pumps, were scheduled to join them on Thursday, and a Norwegian ship was due on Friday. Transport Minister Jean-Claude Gayssot said France had also asked for help from Germany and Spain. Despite the international response of equipment and personnel, stormy seas were threatening to hamper the pumping.